It's not backseat driving, it's a mother's love. Our moms will always occupy a special place in our hearts. We love them to bits, notwithstanding their quirks as passengers whenever we take the wheel. As a tribute to our dear mothers, here are some “MOM-ISMs” everyone can relate to. There really is no standard to how moms define "fast driving." It just basically depends on the zone they're is in at any given moment. It's fascinating how "Ang bilis mo masyado!" can echo inside the car when you're only going 40km/h. 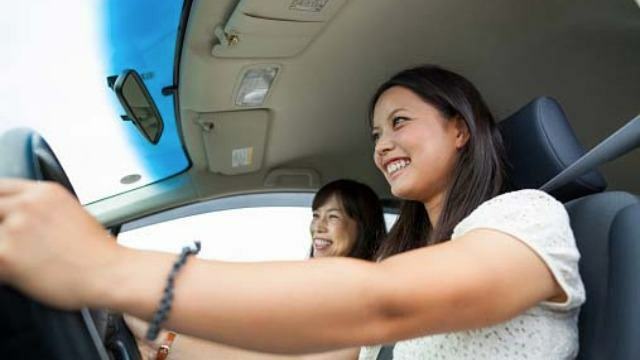 Moms can be sticklers for safety—but we really can’t blame them, considering how crazy driving in this country can get. We can't expect mom to dig our music. But she has a point with the volume thing, since playing your tunes too loud can cause premature deafness. So turn it down, and be extra sweet by letting her pick a song. "How was your day? How's work? How's your love life? How's..."
Mothers like to talk. Like, they haven't heard from you ever since you exited the womb. A kilometer away from the house and she's already figured out all your woes in a matter of minutes. But listen closely—she isn't merely babbling; that's her own special way of showing how much she cares. "May alam akong daan. Pero lumagpas ka na." Like a good son or daughter, you always try to comply with your mother's wishes. "Traffic pala. Bakit ka dumaan dito? Dapat hindi ka sumunod sa cellphone." So what do you do when suddenly she says: "May mas mabilis na daan sana pero lumagpas ka na." It's almost exasperating; but, hey, that’s what makes moms the cutest. When driving next to a truck or bus, it’s certain that you will hear her say this even if you are meters away. Moms may sound annoying and repetitive but they just want to instill in us the importance of defensive driving. And they have a point, sometimes: we could be in the blind spot of trucks and buses. For moms—underneath our adult clothes, developed bodies and full mat of hair—we will always be their babies. Even while the 'rents and our siblings argue in the backseat, mommy's voice will somehow ring the loudest. No matter how unscientific or mundane her driving concerns are, we always value her wisdom. This Mother's Day, relive your unique driving relationship with your mom and take her out for a drive. Get behind the wheel of a Hyundai Starex for a spacious and comfortable ride; your mom will surely love you for the huge legroom and ease of entry and exit. Or go for an enjoyable drive in the sophisticated-looking Hyundai Elantra. She'll feel extra special being chauffeured in an ultra-stylish sedan. So time to make our moms extra happy by giving them the best ride of their lives. To know more about the Starex and Elantra, visit Hyundai.ph, like FB.com/hyundaiph or rush to the nearest Hyundai dealership.